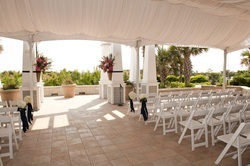 For Information on Holding Your Service or Reception in One of these Venues Call: 910-457-3705 or eventplanning@bhisland.com. GET IN SHAPE FOR YOUR BIG DAY THE RIGHT WAY. Book Direct or go to the link below for a REBATE on a 3-Night Stay!